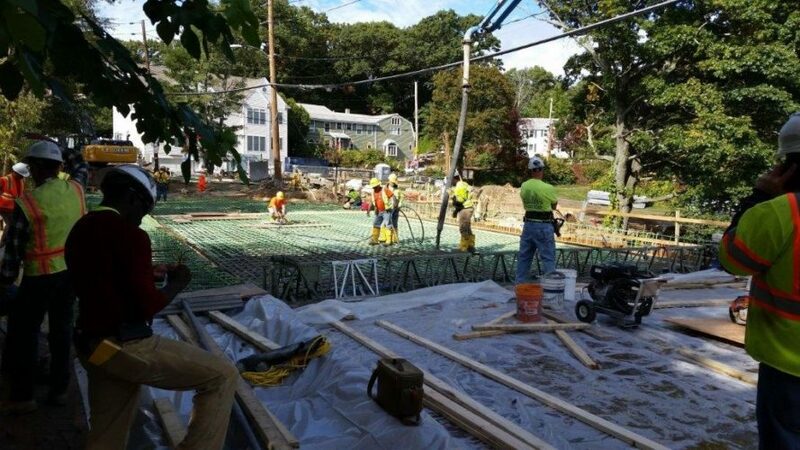 The Needham Department of Public Works would like to share with you recent updates pertaining to the construction on Needham’s Elliot Street Bridge. The Department shares that the concrete pour for the bridge deck has been completed. This is a major step in the completion of the bridge. The completion schedule continues on time for the bridge to open to traffic by December 15th or earlier. The Public Works Department and I are happy to share this good news with you, and hope that our community can resume normal use of the Elliot Street Bridge in the near future. All commuter rail service to Needham will be suspended from Thursday evening, November 10th after 8pm until Monday morning, November 14th. What are my other options for getting from Boston towards Needham Thursday evening after 8 pm? Providence / Stoughton Line to Route 128 station (no bus service to Needham) but plenty of parking. Franklin Line to Dedham Corporate Center parking is available as well as connection to the # 52 bus to Spring Street/ Charles River Loop for pick up. Fairmount Line also services Rte. 128 Station, but could transfer at Readville station to the Dedham Mall/Corporate Center, if more convenient for pick up. How do I get to Kenmore Station? Take the Green Line “B, C, D” Branch from Park St Sta. to Kenmore Station. Our office has contacted Keolis/MBTA to place additional #59 buses into service to coordinate with the #52/57 bus from the Kenmore Busway to the Watertown Yard and is awaiting a response. The #52 bus gives the most flexibility since it runs about every 10-12 minutes until the “T” shuts down in the evening. #502 bus St James at Dartmouth St. (not far from Back Bay Station/Copley) to Newton Corner. #504 bus from Watertown Yard to Newton Corner. What are my options for Friday morning? For more specific information please check schedules for departure times online http:/www.mbta.com/ go to: maps and schedules. If you are unfamiliar with the website: use the Rider Tools/ Trip Planner and input your origin and destination information. 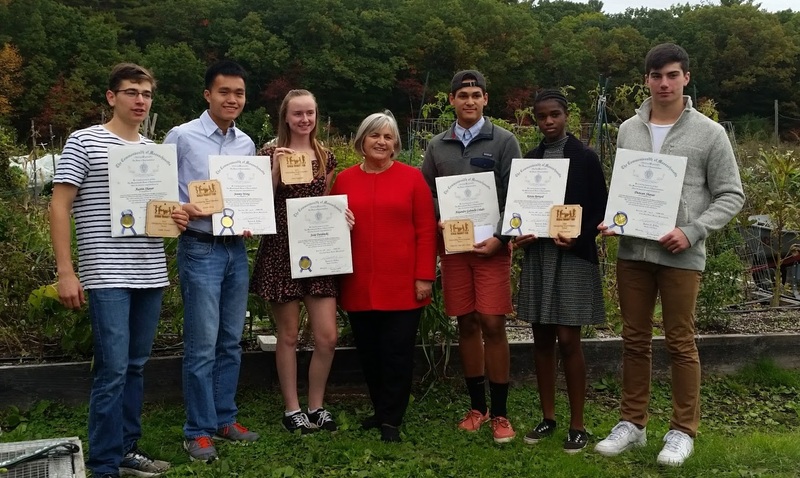 State Representative Denise Garlick visited the Needham Community Farm this week to celebrate seven recipients of the Farm’s Outstanding Youth Volunteer Awards for their exceptional service. 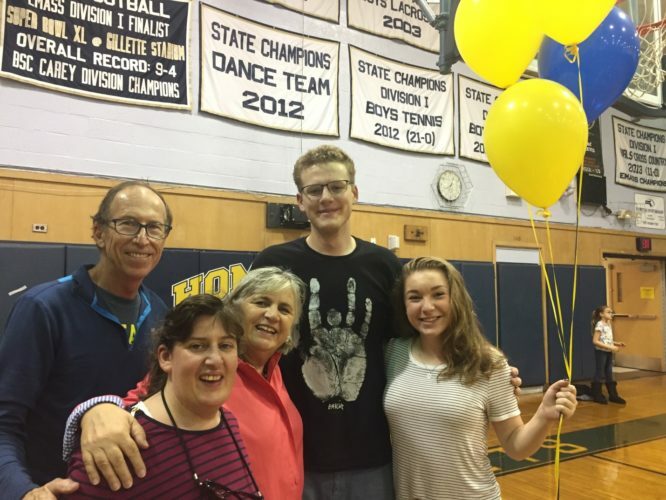 This year’s award recipients include Pollard student Alejandro Gabrielle Celado, Needham High School students Ketsia Bernard, Josie Dardinski, Austin Shaver and Duncan Shaver, and Needham High School graduates Michael Totten and Jeremy Wong. The Outstanding Youth Volunteer Awards recognize volunteers who go above and beyond the typical scope of volunteering and take on complex roles at the Farm. Many served as youth leaders and mentors to younger students, consistently showcasing a positive attitude and determination in completing their tasks. 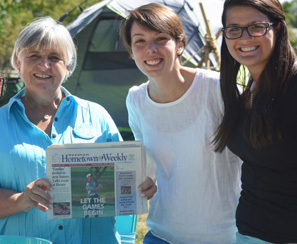 These students dedicated a substantial number of volunteer hours over the spring, summer and fall seasons, and were instrumental in pushing forward the mission of the Farm. Representative Garlick spoke to the students work in terms of planting, growing and harvesting a garden, recognizing their volunteer efforts, the skills acquired and the leadership developed as a way to enrich and nourish our community now and in the future. The Needham Community Farm is a non-profit organization that donates all produce grown at the farm to individuals and families in the community who many not have consistent access to fresh, locally grown produce.